If you’re trying to cut back your wine intake to one glass a day – look away! Costco in the UK is selling what is arguably the world’s largest wine glass. It’s costs £59.98 and it holds 25 x 750ml bottles of the good stuff. At 118 cm tall (46 inches) this wine glass will tower over your children! As Babe Zaman, manager of Costco told The Birmigham Mail: “It gives a whole new meaning to saying you’re just having the one glass of wine! What wine would you fill this baby with? Previous Does the new Coravin wine preserving screwcap work? Next The three golden rules to drinking wine while flying economy! Am I missing the point worrying about which cupboard it’d fit in?? The ladies at Wine Flows https://wineflows.wordpress.com would leave it on the table. Can you buy in the Shop & Which One ? I would fill it with the metal champagne caps that sit on top of champagne corks. Since I’ve been saving them for years I might have enough to fill it up. Cheers! WOW! I’ll take one and fill it DRC. Of course I need someone else to buy the DRC! One thing I’ve found is that regardless of the size of the glass I’m using, I tend to pour the same amount. I wonder how minuscule that amount would look in this glass? Oh, yeah! The ladies at Wine Flows https://wineflows.wordpress.com would love to get their hands on one of these. Fill mine with gold coins. How fun is that! Waiting for it to come to the U.S.
Hi. Could you tell me how I can get 1 of these please. That is an awesome wine glass! By the time I empty it….I will be sloshed after downing almost 3 bottles or 25 glasses haha! How do you buy it? I can’t find it anywhere!!!!! Can someone give me the item number or the website page to go to to buy it…? Please and thank you. Where can I buy it!!! How do I order the 118cm wine glass. Is there any way to order them from the U.S.? Or, could you provide a website for a supermarket in the UK that would be willing to sell and ship to the U.S.? 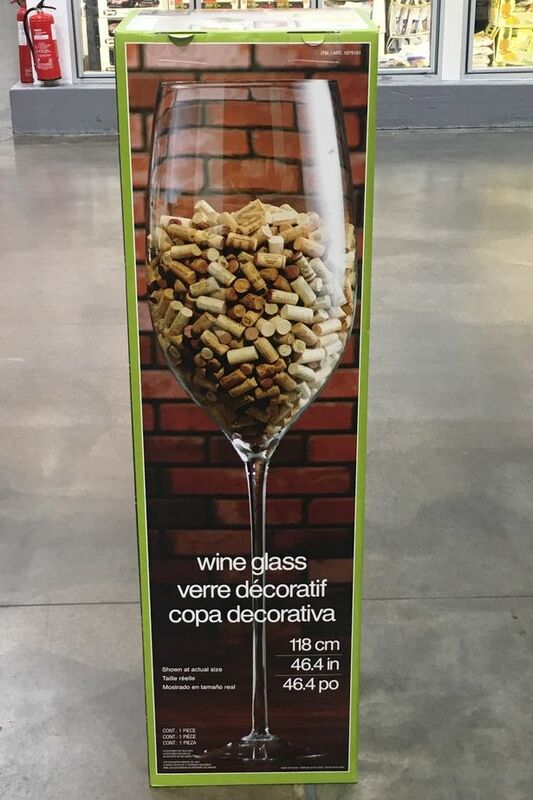 How can I purchase this 47″ wine glass.